Judging by the progress being made on the U.S. West Coast, and the business and government commitments announced at the Summit, I think the answer is yes. That’s especially apparent here on California’s central coast. Our region has become the global nexus for ocean education, innovation and impact. 1) More people than ever before are talking about the ocean’s importance to Earth’s changing climate. 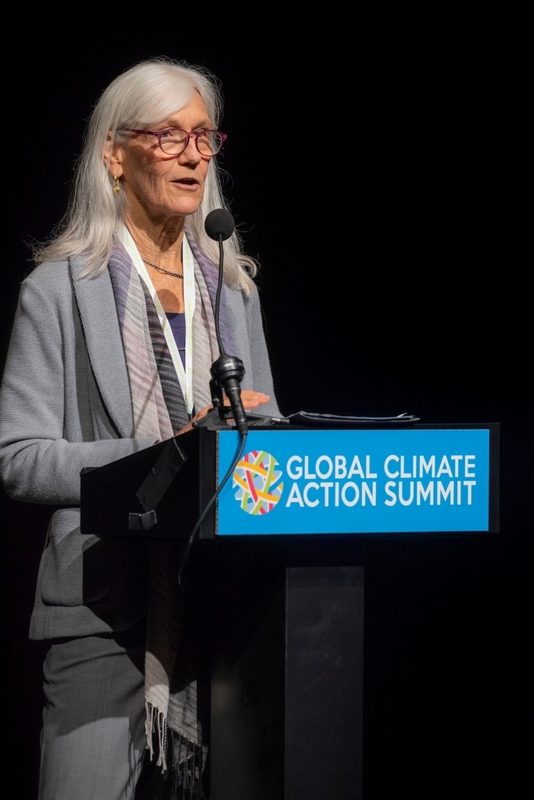 The Summit featured a day-long program devoted exclusively to ocean-climate issues. And the ocean was on clearly on the minds of climate leaders. 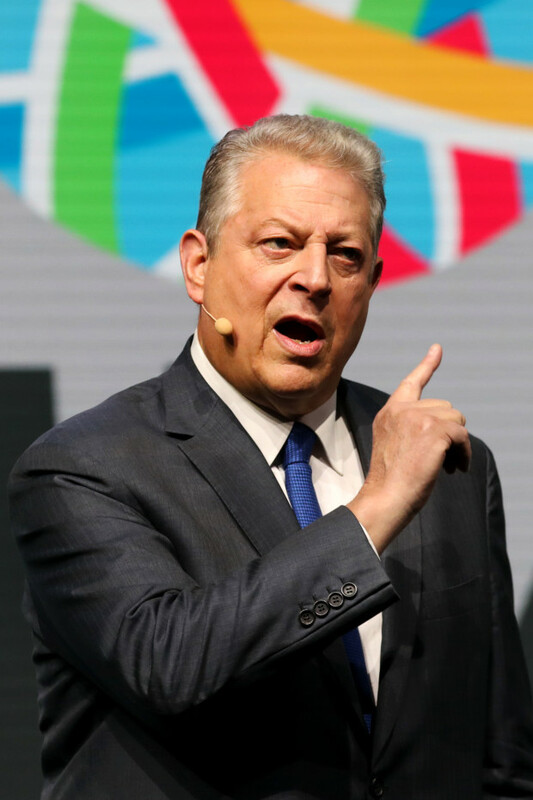 “We’re putting so much heat into the ocean, we’re using the sky as an open sewer,” said former Vice President Al Gore. Meg Caldwell, Deputy Director for Oceans at the Packard Foundation, said a thriving, resilient ocean holds the potential to mitigate some of the worst consequences of climate change. 2) Solutions are available—and are being implemented at an increasing pace. Costa Rican diplomat Christiana Figueres, who directed the United Nations climate change efforts that culminated in the Paris Agreement, is confident the world is already on the path to a low-carbon future. Renewable energy sources, once a boutique commodity, are now doubling every 5.5 years, she said. All major vehicle manufacturers have electric models, which were a rarity 10 years ago. 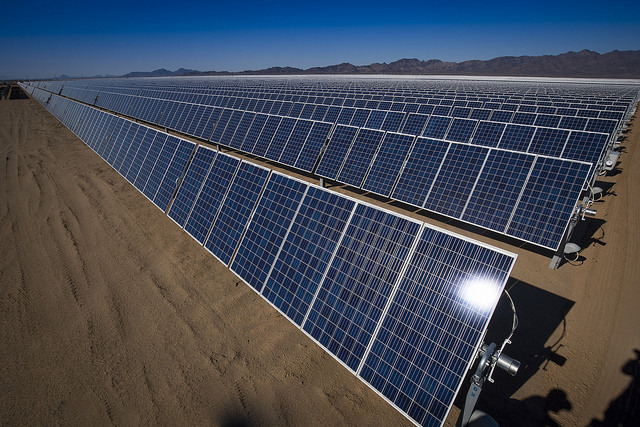 3) Businesses, governments and nonprofits are creating a clean-energy future. Los Angeles Mayor Eric Garcetti pledged that the city’s Metro system will be entirely zero-emissions by the 2028 Olympics. As part of the We Are Still In movement—a coalition of U.S. businesses, municipalities, universities and institutions committed to the Paris Agreement climate targets—the Aquarium announced it will achieve net-zero carbon emissions and a vehicle fleet completely powered by renewable energy by 2025. Similar announcements came from some of the world’s biggest cities and businesses. 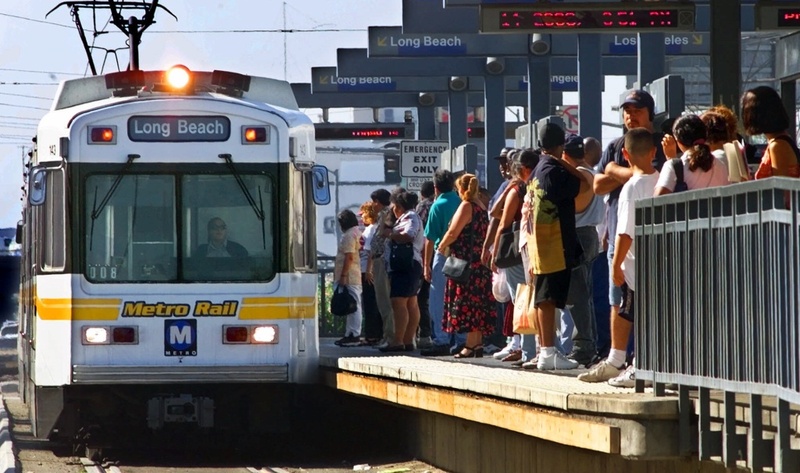 For example, the City of Los Angeles committed to a zero-emission transit fleet in time for the 2028 Olympics. 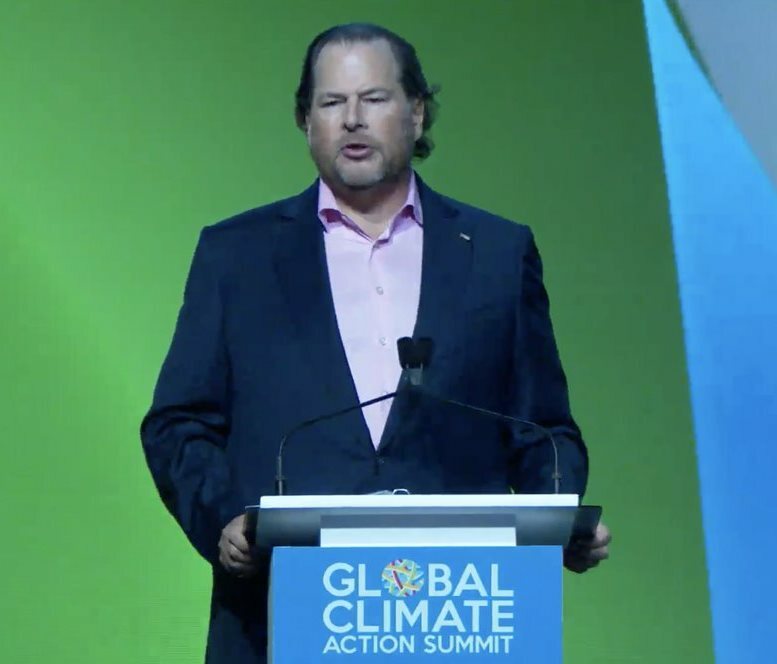 Salesforce co-founder and CEO Marc Benioff announced that 21 leading tech companies are aiming for net-zero carbon emissions by 2050. “The business of business is…to improve the state of the world,” Salesforce CEO Marc Benioff told Summit delegates. 4) These commitments, and many more, illustrate the transformational pace of change. For over 30 years, the Aquarium has been a voice for the ocean—inspiring tens of millions of people from around the world to be active stewards of our blue planet. 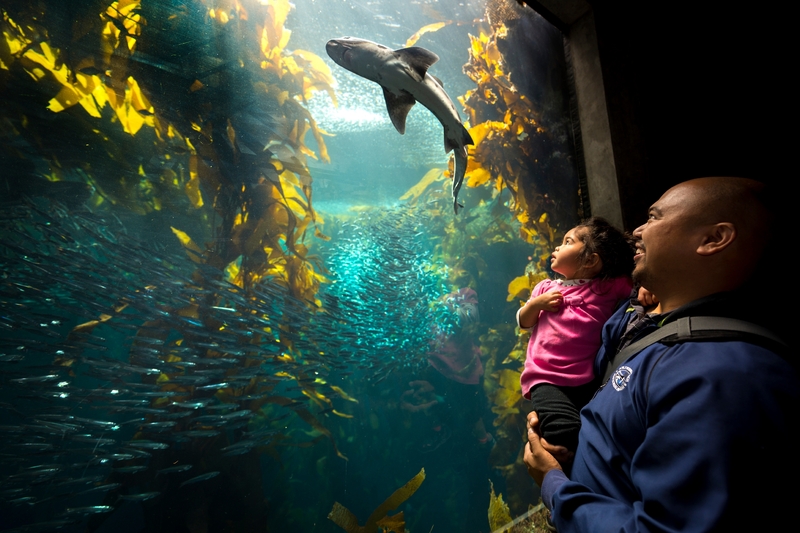 For over 30 years, Monterey Bay Aquarium has been a voice for the ocean—and taking action to improve ocean health. We’ve been preparing the next generation of diverse ocean conservation leaders, who are science-literate and ready to act. Working with governments, businesses and NGOs, we’re forging solutions to the biggest threats to our global ocean. We’re pursuing a vision of a sustainable seafood supply, a plastic-free ocean, and ocean policies based on the best available science and technology. And yes, working across sectors and borders, I’m confident that we can realize our most ambitious vision: a zero-emission global economy. It’s time: We must prioritize the health of the ocean. It’s our first line of defense to ensure a livable future all life on Earth, including humanity. The fate and future of 7.5 billion people hinge on decisions we make today. Learn more about how the Aquarium is taking action for the ocean in our 2017 Conservation & Science Report.